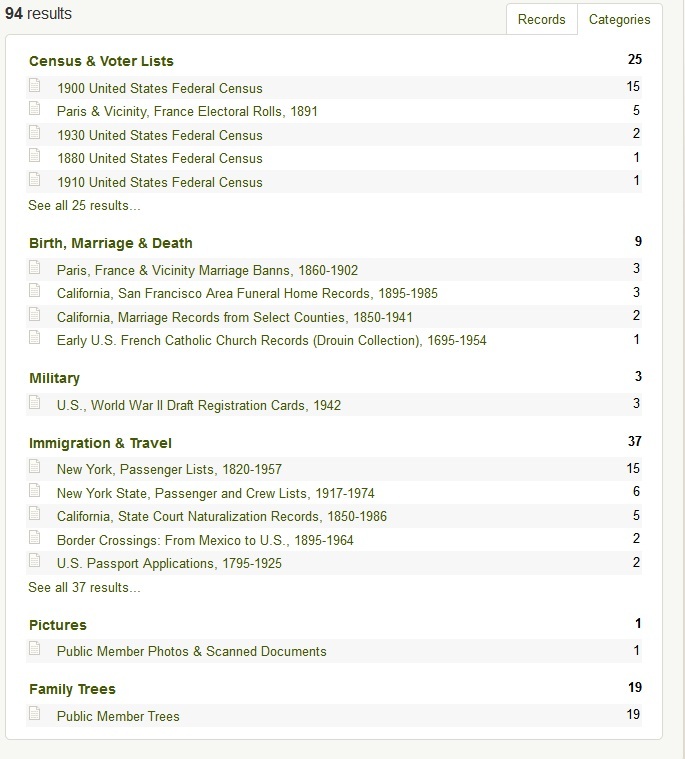 Are you familiar with the keyword search box on Ancestry.com’s search query screen? You’ve probably seen it, but haven’t really figured out what it is for. After all, you’ve got the name and birth or death place of your ancestor. You don’t need that box, do you? I bet you are not alone, especially if you’re just getting into genealogy. But, the keyword search box can be your best friend especially with certain databases. Some databases have very specific fields. 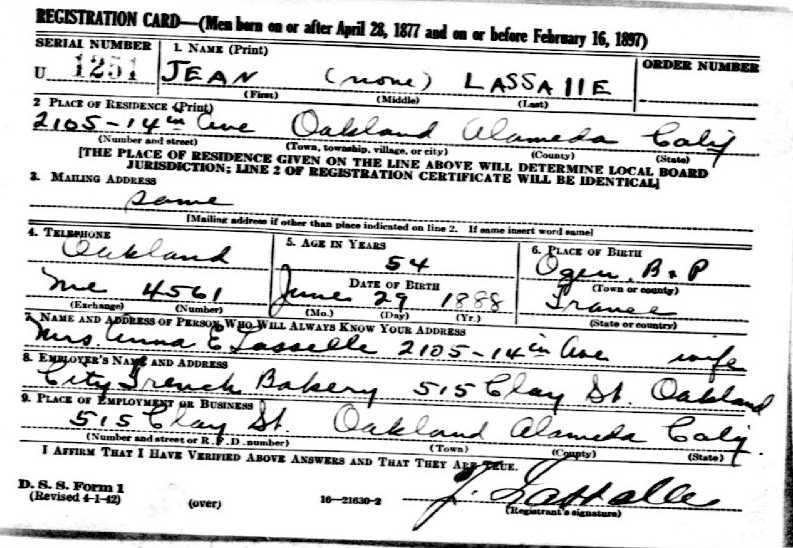 For instance, it is easy to see on a census records what the name and birthplace are. Same for a birth, death, and marriage certificate. The fields are very specific. What about newspapers, city directories, or other records with different formatting? While a birth certificate can be digitized as a whole document and then transcribed as an index, it isn’t as easy with newspaper pages. Because even though the image is digitized, the fields aren’t as obvious. The information isn’t laid out the same as a birth certificate or census sheet. Let’s look at one of my recent searches. I want to find everyone from Ogeu les bains, France (a project that I will explain in another post). In the birthplace field it is listed as a choice so I selected it. I clicked the Exact box to see what happens. My results show that there are more people from Ogeu les bains in these databases (according to Ancestry.com) than most likely have lived in Ogeu les bains since the beginning of time. This is not useful at all! This is where the keyword box comes in handy. Often times, I’d like to know if anyone else is listed who is from the same village or town as my ancestors. I have found that by using the keyword box I pick up entries that the birthplace box misses. Or, in this case, it weeds out many of the results that aren’t pertinent to my search. This is especially important if the village is misspelled in the transcription. I’m tenacious but not that tenacious! That’s about 213,893,400 entries more than I’m willing to work through. The search results I get back are for everyone born in France that the index could find. My guess is because I’ve put in a place name the system doesn’t recognize, it ignores it, and displays results for the place it does recognize. I am going to go back to my search. This time I am going to use the keyword box. I’m going to use quotes around my search term because I want it to find Ogen, France. If I leave off the quotes, it will search for Ogen OR France. Back to 2 million plus search results! I can also click the Exact box if I so choose. I’m starting with the box unchecked to see how many results I get and if they are on point. It is helpful to click the Exact box with some searches. You have to play with it to see what works. 94, that’s more reasonable to work with. There will be some false matches in this set such as people with the last name Ogen. But, for the most part it’s returned a list I can work with. I’ll probably leave off the census records for now since the census doesn’t typically list villages. There might be added information from users which gives the village. I’ll deal with those later. This is the results for the WWII Draft Registration Card database. Along with my grandfather, Jean Lassalle, there were two other men from his village listed. This information may or may not be helpful later, but it is good to keep track of. My grandfather’s WWII draft card. You can see how Ogeu can be read as Ogen. Keyword searches are incredibly useful not just for villages or towns. You can search for names, addresses, and other terms, too. It’s always a good idea to test your search in this box if a straight name or place search doesn’t bring up the right results. Keyword searches are just one of the ways you can get better targeted search results not only on Ancestry.com but other websites as well. Give it a try and see how it works for you!